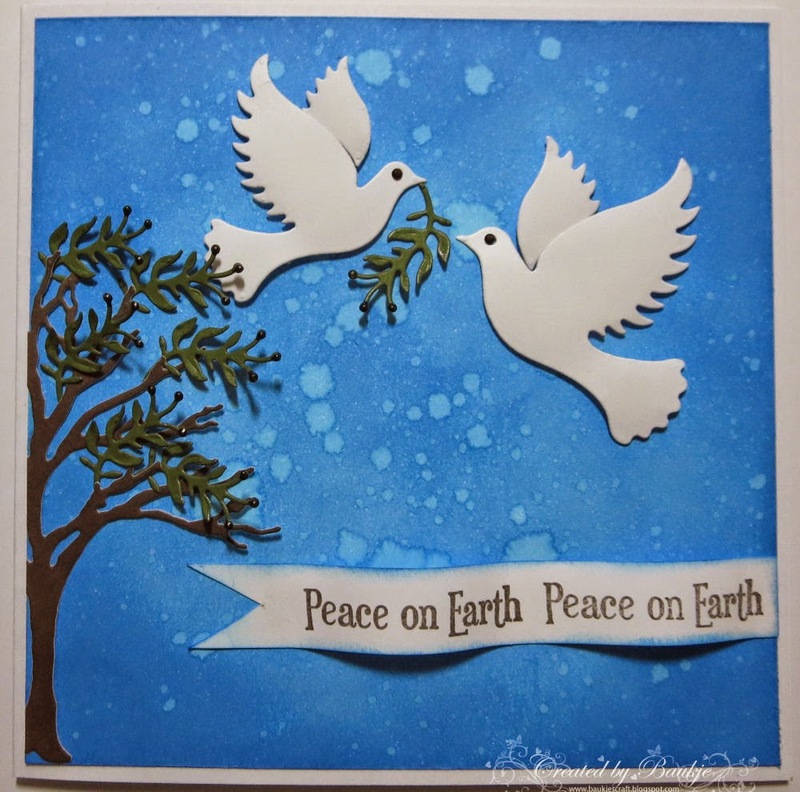 I have three Peace Dove cards to share with you today, I've been enjoying playing with distress inks, stamps and stencils to create the backgrounds for my cards. 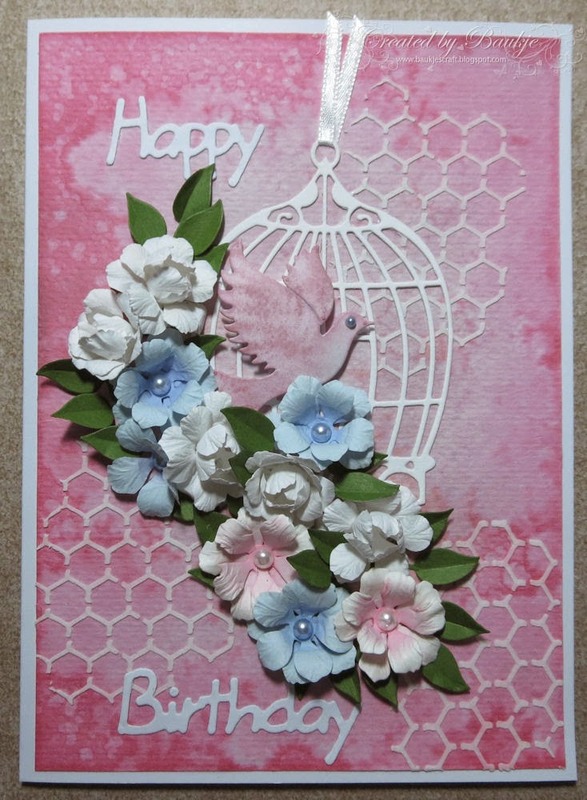 all the flowers were made with the Cheery Lynn Medium Tea Rose Die, the leaves on the pink card are the Elizabeth Craft Designs Curvy leaves. 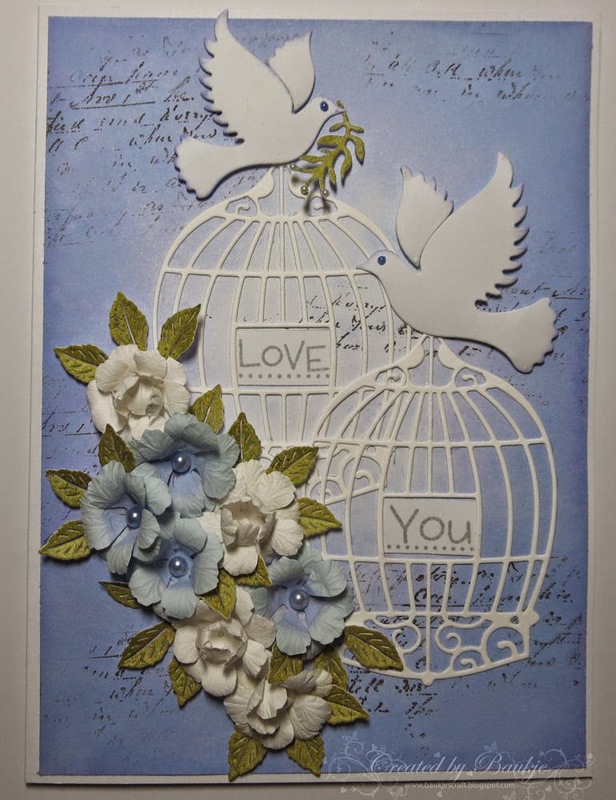 The Bird Cage is the Cheery Lynn B198.